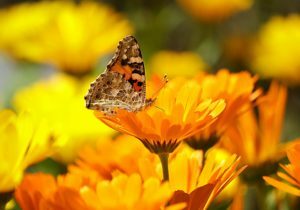 Plant Cool-Season Annuals - Consider adding early blooming annuals such as dianthus, Iceland poppies, pansies, snapdragons, violas and ornamental cabbage. For shady areas set out cyclamen, and English & fairy primroses. Fall Veggies – It’s a good time to start winter crop vegetable like kale, Brussel sprouts, cabbage, broccoli, sprouts, lettuce, radishes and any root crops. Seeds should be started inside to protect the seedlings from frost. Plant Spring Bulbs- Plant your spring bulbs this month through January. North County should be done before January. Plant bulbs in masses for great spectacular color and if you have bulbs in the ground, this is a great time to divide them and replant. Great bulbs to plant that are available in local nurseries are Irises, daffodils, crocus, freesias, and others. If you want to have tulips successfully, try chilling them for a few weeks to give them the vernalization that they would normally receive in colder native climates. Spray Fruit Trees - To avoid peach leaf curl, rake fallen leaves and remove old fruits from peach and nectarine trees. Make sure all of the leaves are off the tree and clean under the canopy of the tree. Then treat entire tree with lime sulfur or fixed copper spray (the use of a horticultural oil surfactant can help the spray ‘stick’ to the tree. Spray trees again at height of dormancy (early January) and again just before the buds emerge to prevent spraying too late. Organic Gardening- To remedy pests organically in the garden use BT or Bacillius thuringiensis for Sulphur butterfly (white) larvae that will eat up young vegetable plants. Be careful not to spray on beneficial caterpillars. For aphid infestation spray a mixture of soap and warm water soap or blast them with the hose to remove a majority of them. Remember organic gardening is not only a lot more work but safer to eat and for the environment. Apply Pre-Emergent - In areas prone to excessive weed growth apply a pre-emergent that will prevent the germination of weed seeds. Before applying in areas with desirable plants, make sure that the pre-emergent is safe to use with those particular plants.